This beautiful apartment has 5 comfortable bedrooms, Sleep up 10 adults and 2 children. Some of the bedrooms with tv sets, games room with Pool/Snooker), BBQ area for al fresco diner, little gym, exterior jacuzzi (4 people), exterior tennis table, air conditioning, interior parking for 4/5 cars. This property has a Private Heated Pool 10 x 5 m, Internet WIFI, 2 bikes, Playstation3, WII, games, night área for all fresco diner, etc,. All area is secluded by walls and fences. For children security, the main gate can be closed during day and night. 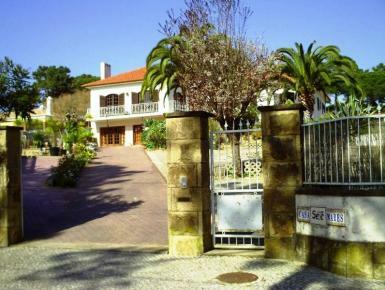 Close to the property, you will find some restaurants, little shops and supermarkets (only 12 minutes walk). The lovely sandy beach (Praia das Maças) is only 10 minutes walk.